In 1944 David Stone Martin (1913-1992) was an artist on the rise. A veteran of the art division of the Tennessee Valley Authority and an acclaimed New Deal mural painter, he was just beginning an independent career in illustration and commercial design. 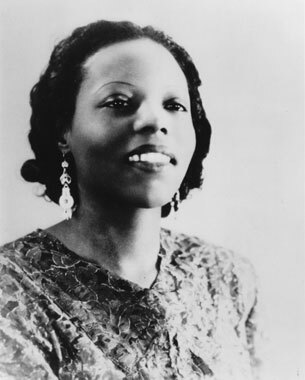 Mary Lou Williams (1910–1981) was already famous. After more than a decade on the road, the popular piano player, composer and arranger of Andy Kirk's swing orchestra was embarking on a solo career in New York City. David was charming, fun and a gifted artist; Mary, attractive, stylish, and a musical prodigy, was his perfect counterpoint. Their affair lasted less than a year but their connection remained lifelong. She helped him get his start as an illustrator of record albums -- the field in which he made his fame and fortune. He in turn created some of his most memorable record covers for her. Equal parts art, music and love -- each work in this exhibition can be seen as a collaboration between the two artists. Mary Lou Williams and David Stone Martin met at Café Society, the famous Greenwich Village nightclub where jazz, blues, gospel, satiric comedy, art, and leftist politics were all part of the show. Launched in 1938 by Barney Josephson, the club provocatively billed itself as "the right place for the wrong people." It was the first club in New York with integrated audiences as well as racially mixed stage shows. Every night during Café Society's first year, Billie Holiday closed her show with "Strange Fruit," a song about lynching specially written for her booking at the club. Williams started at Café Society in 1943 and soon became a star attraction playing lively swing and boogie-woogie. Martin was a club regular with an art studio conveniently located nearby. He rented a piano for the studio, and while Mary played and composed, David painted. 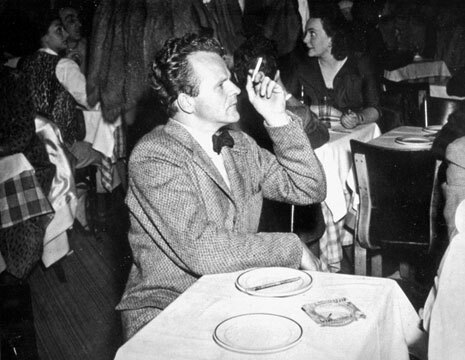 David Stone Martin at Café Society, Sheridan Square, New York City, c. 1944. Photograph by Albert Freeman. 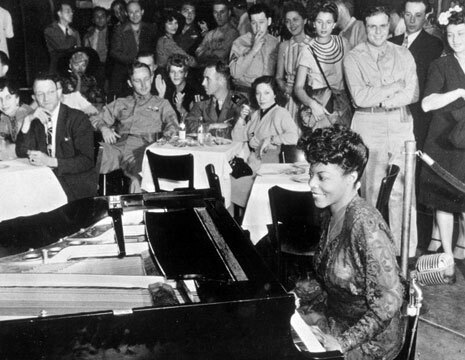 Mary Lou Williams at Café Society, Sheridan Square, New York City, c. 1944. Photograph by Albert Freeman. 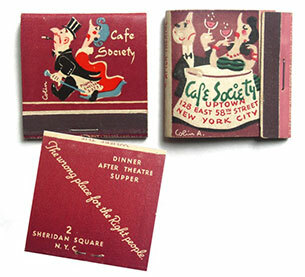 Matchbooks advertising Café Society, 1940s. Matchbook illustration by Colin Allen. "Mary Lou Williams Trio," c. 1944. Cover design by David Stone Martin for Asch Records. This is the first cover that Martin made for Williams. In the 1940s record albums contained three or four 78 rpm records. 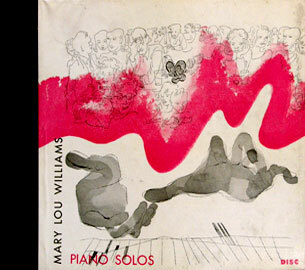 "Mary Lou Williams Piano Solos," c. 1946. Cover design by David Stone Martin for Disc Records. Martin uses shapes and color to convey sound. Café Society is in the background. 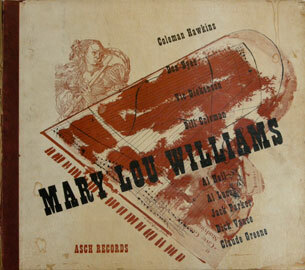 Mary Lou Williams' first recordings under her own name in the 1940s were for Asch Records and the Disc Company of America, two small labels run by the maverick Moe Asch. 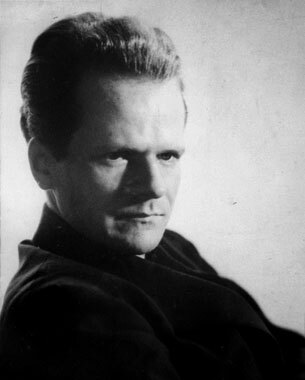 Like Barney Josephson at Café Society, Asch was a political leftist who sought out music that he believed reflected the authentic voice of the people. His eclectic roster included Leadbelly, Josh White, Woody Guthrie, Pete Seeger, the Calypso singer Lord Invader, and Norman Granz's live recordings of his Jazz at the Philharmonic concerts. Asch was one of the first to understand the importance of packaging in selling records. When Williams introduced him to Martin he recognized a major talent and hired him as his label's art director. The relationship lasted until 1949 when Disc went bankrupt. Martin then teamed up with Norman Granz, whose success over the next two decades helped Martin gain world-wide recognition as a top album-cover designer. "Mary Lou Williams," c. 1944. Cover design by David Stone Martin for Asch Records. This bigger 12-inch-size 78 rpm record album allowed for longer songs. 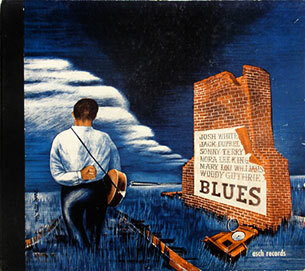 "Blues," c. 1944. Cover design by David Stone Martin for Asch Records. This album contains a sampling of the recording artists at Asch Records. Josh White worked with Williams at Café Society. "Bud Powell Piano," c. 1950. Cover design by David Stone Martin for Mercury Records. 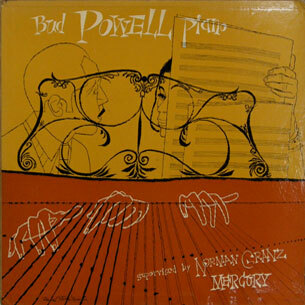 Few people notice the partially hidden portrait of Mary Lou Williams on the cover of this Bud Powell record. Williams provided both emotional and musical support for the fragile Powell who was in-and-out of mental institutions in the late 1940s. This 10-inch album was for the new 33 rpm records that became popular in the 1950s. 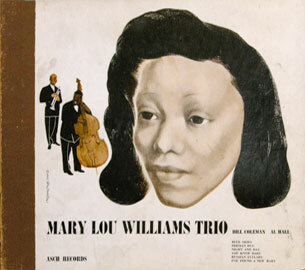 Mary Lou Williams was a musical wonder who first began playing the piano at the age of four. Over a long career she perfected almost every style of popular music – vaudeville, swing, boogie-woogie, bop and even symphonic jazz. The 1960s brought changes in both Williams’ life and music. First came her conversion to Catholicism and the decision to devote herself to good works. Her music followed suit and included a jazz mass and compositions honoring Dr. Martin Luther King Jr. Wanting to function outside the commercial mainstream, the entrepreneurial Williams started Mary Records as a way to get her musical message out. 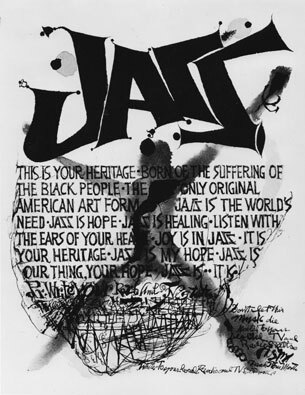 David Stone Martin offered help, providing art for her album covers and posters supporting Williams' campaign to keep the spirit of jazz alive in the black community. "Mary Lou Williams Presents Black Christ of the Andes," 1964. Cover design by David Stone Martin for Mary Records. 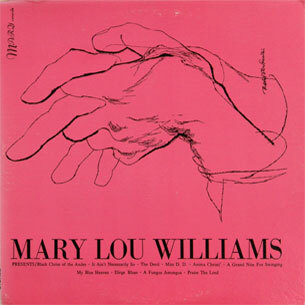 This was Williams' first album of religious music following her conversion to Catholicism. Mary Records Logo, 1964. Label design by David Stone Martin. 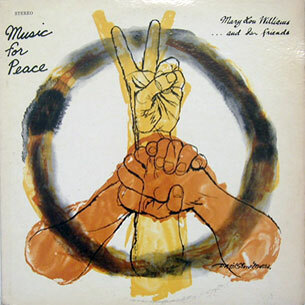 "Music for Peace: Mary Lou Williams and Her Friends," 1970. Cover design by David Stone Martin for Mary Records. "Jazz: This Is Your Heritage," c. 1965. Offset poster designed by David Stone Martin with words written by Mary Lou Williams. At a time when it was being increasingly marginalized by rock and roll, Williams actively campaigned to teach black children about the importance of jazz.